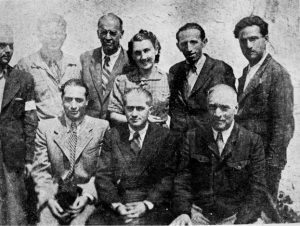 Leaders of the local Jewish community did everything possible to inform their brothers in Bucharest about the situation in the ghetto, and coming deportations. Residents of the ghetto waited for their salvation with hope. In contrast to the Europe, the situation of the Jews in Bessarabia and Bukovina became known publicly. From the memoirs of the Chief Rabbi of Romania, Alexander Shafran: “… when Romanian troops entered Bessarabia and took control of the region, all their hatred towards the Jews resulted in massacres. In Chisinau, about 11,000 Jews were imprisoned in the ghetto. We learned about the extermination of Jews in Khotyn, Balti and other towns, about the imprisonment of Jews in camps and ghettos in Bessarabia and Northern Bukovina, about the beginning of their expulsion. Chairman of the Federation of Communities of Romania Dr. Wilhelm Filderman sent to Chisinau Romanian lawyer Musat. He was hired and well paid by the federation to carry out an important mission of help. He could study the situation in different places where Jews were in particular danger, to bribe Romanian civil and military officials to at least temporarily improve the situation. Chairman of the ghetto community G.S. Landau tried to supply food in the ghetto and evenly distribute it and financial assistance among prisoners. Products and money were received from Bucharest, where the Jewish community of Romania took care of the Chisinau ghetto. In September 1941, a man in the form of a Romanian officer appeared in a house on Burglel Street in Bucharest. It was the Jewish lawyer Abraham Shapiro, deputy chairman of the community of the Chisinau ghetto, who secretly reached the capital to report on the catastrophic situation in the ghetto and the threat of the prisoners’ deportation to Transnistria. “Authorities of the institutions responsible for supervising and maintaining order in the ghetto and deportation were often used for directly opposite purposes, namely, to assist or commit various abuses. 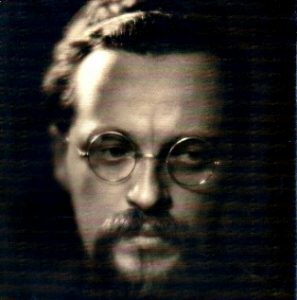 Colonel Dumitrescu ordered Captain Alexandrescu to send a courier soldier to Bucharest for communication between the ghetto community and the Jewish community in the capital. For this purpose, the courier made several trips, and each time Colonel Dumitrescu was paid 100,000 lei and captain Alexandrescu – 50,000 lei. Information was received from the Jew Aizik Itko Sebel, not confirmed by additional evidence. “When he arrived, he was immediately brought to my apartment. People from the Federation were amazed: if Shapiro had been found in these clothes on the way to Bucharest, he would have been shot on the spot. The same fate could wait all of us who gave him shelter. We did not think about it, all our thoughts were about what to do to save those who remained in the Chisinau ghetto, to prevent their deportation and massacre on the way. Having completed his mission, A. Shapiro returned to the ghetto. If he stayed in Bucharest, perhaps he would save his life. But he returned to hell and died along with thousands of his compatriots. On October 11, 1941, Wilhelm Filderman, the former chairman of the Union of the Jewish Communities of Romania, by that time dissolved, sent a letter to I. Antonescu in which he protested against the deportation of 1,500 Jews from Chisinau on October 8 and asked the dictator for an audience. On October 19, W. Filderman appealed to I. Antonescu with a legally substantiated appeal, where he referred to the provisions of the Decree-Law No. 793 of September 3, 1941 on the regulation of the residents’ of Bessarabia and Bukovina citizenship and called for the provisions of this law to be extended to the Jews of these regions. The dictator’s response to this appeal was published in Bucharest newspapers on October 26. Deportation and destruction of the ghetto were in the process. The fall of 1941 was damp and cold. Jews who escaped extermination in Bessarabia, Bukovinian Jews and Dorokhoi Jews were driven into the camps and ghettos of Transnistria. After this meeting, I was received by Maria, the wife of the marshal. I asked how she, a woman, could not listen to the desperate cries of children crying out for her pity and compassion. To my words that she can influence her husband and save people from suffering, I received the answer that her husband is guided by the highest interests of the state. 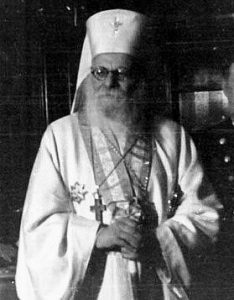 Since my appeals to the marshal and his wife did not lead to positive results, and the situation became more serious, I turned to Patriarch Nicodemus, the head of the Christian Orthodox Church of Romania, believing that he would be able to influence the marshal. “You can do a lot! You are the Patriarch of the whole country, and you have great powers… ”I replied. Although he was visibly excited, he hesitated in making any formal commitment. However, I was extremely inspired by his promise to do everything possible and to keep in touch with me. The patriarch met with the marshal, but did not succeed. He also met with the King and mother Queen, Elena. I informed the King and Queen mother of the desperate situation of my compatriots. Being a noble person with a refined soul, she was touched by my story. As a woman and a mother, she took this situation with great sympathy, especially with regard to children. The Queen made contact with both Antonescu, but without success. in February 1944, taking out of orphans who had lost both parents and were younger than 15 years was allowed (1,846 orphans arrived in Iasi). 4,498 adults were allowed to return. A unique phenomenon in the history of the Holocaust and decisive for survival was the fact that the underground leadership of the Jewish community was able to maintain constant contact with the anti-Semitic government, intercede with it, and influence it defending the Jews. Wilhelm Filderman was born in 1882 in Bucharest into a wealthy Jewish family. He graduated from a high school, being a classmate of Marshal Ion Antonescu. A graduate of the University of Bucharest, received a doctorate in law in Paris. Since 1912 – a member of a law office in Bucharest. Participated in the World War I, was awarded. His whole life is devoted to the political struggle to achieve equality of the rights of Jews in Romania. From 1929 to December 16, 1941 President of the Union of the Jewish Communities of Romania. Between the World Wars, Filderman fought against anti-Semitism, for civil rights and full citizenship for the Romanian Jews. During the war years, measures taken stopped the deportation of the Jews of the Old Kingdom and Southern Transylvania to the Nazi death camps in Poland. He tried to improve the fate of the Jews of Bessarabia and Bukovina. In 1943 he was placed for three months in the Mogilev-Podolsk ghetto. After the war, he was persecuted by the Communist authorities of Romania. In January 1948, Filderman secretly fled Romania to Paris, where he lived until his death in 1963. Alexander Shafran was born on September 12, 1910 in the city of Bacau in the family of a rabbi. He graduated from the rabbinical seminar and the Faculty of Philosophy of the University of Vienna, received the title of Rabbi and the degree of Doctor of Philosophy. In 1935 he became the rabbi of his native city. 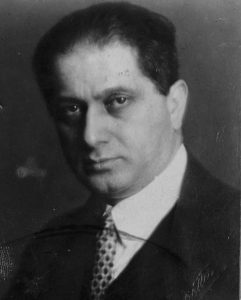 In February 1940, Shafran, who was not yet 30 years old, was elected the chief rabbi of Romania – and automatically became the only Jew to the Senate. 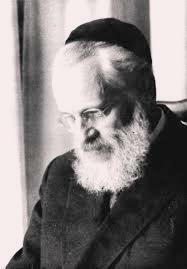 After the dissolution of the Jewish organizations in December 1941, Rabbi Shafran participated in creation of the underground Jewish council, which met in his house. The council used contacts with the Romanian church officials, the Vatican and the royal family to prevent the mass deportation of the Romanian Jews to extermination camps. The fact that the Jewish community of Romania, having suffered huge losses, escaped the tragic fate of the Hungarian Jews who were deported to Auschwitz in 1944, and survived was the considerable merit of A. Shafran and his associates. 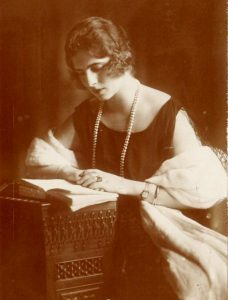 Queen – mother Elena, daughter of the King of Greece Constantine I, great-great-granddaughter of Emperor Nicholas I, Princess Greek and Danish was born in 1896 in Athens and married the Romanian crown prince who later became King Karol II. Their marriage life was not successful, and in 1928 the couple divorced. In 1940, Karol II abdicated the throne that was taken by the son of Karol and Elena – Mihai. At the end of 1941, when information about the unbearable conditions of keeping Jews in the ghettos and camps of Transnistria appeared, the Queen mother obtained permission to send medical aid, clothing and food to the Jews. She made every effort to prevent deportation of Jews from the Regatta (the “old kingdom”) to the Polish camp of Belzec. After the war and the coming to power by the Communists, the royal family found itself in emigration, first in Greece, then in Switzerland, where Elena died in 1982. In 1993, Queen Mother Elena was awarded the title of Righteous among the Nations.